Where to find cheap accommodation in Nelson. The sunniest city in New Zealand is loved by mountain bikers, city-lovers, Lord of the Rings fans and more! With the added bonus of being surrounded by four different national parks, no wonder so many backpackers have Nelson on their bucket list. Whether you’re here for a quick visit or settling for a while in this popular city for working holidaymakers, you’re going to need to find cheap accommodation in Nelson. Because Nelson is made up of a few large suburban areas, we have put together a quick list of the suburbs where you are likely to find some cheap accommodation, as well as outlining how far away they are to Nelson’s city centre. This accommodation guide to Nelson is also split into accommodation types, so you can just skip straight to your preferred accommodation style! So find a place to stay in Nelson using our nifty accommodation guide to Nelson! WHICH Nelson SUBURB TO FIND ACCOMMODATION IN? There is accommodation found all over Nelson. Here’s a quick rundown on what to expect in each Nelson suburb in relation to Nelson’s centre. 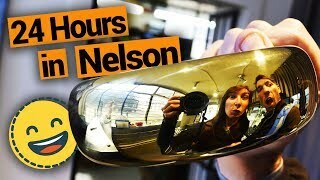 For more about Nelson, check out Nelson – Guide for Backpackers. Nelson Central – Location: city centre, Distance from centre: you’re in it. Average weekly rent for a room: NZ$150, Average hostel night: NZ$25-28. Marybank – Location: northeast of Nelson, Distance from centre: 6min drive/1h20min walk. Average weekly rent for a room: NZ$170. Atawhai – Location: northeast of city centre, Distance from centre: 6min drive/1h10min walk. Average weekly rent for a room: NZ$155. Port Nelson – Location: north of city centre, Distance from centre: 3min drive/17min walk. Average weekly rent for a room: NZ$300, Average hostel night: NZ$25. Beachville – Location: west of city centre, Distance from centre: 4min drive/15min walk. Average weekly rent for a room: NZ$170, Average hostel night: NZ$25. The Brook – Location: south of city centre, Distance from centre: 6min drive/12min walk. Average weekly rent for a room: NZ$130. Nelson South – Location: south of city centre, Distance from centre: 5min drive/26min walk. Average weekly rent for a room: NZ$135, Average hostel night: NZ$26. Toi Toi – Location: southwest of city centre, Distance from centre: 6min drive/30min walk. Average weekly rent for a room: NZ$125. Tahunanui – Location: southwest of city centre, Distance from centre: 8min drive/1hour walk. Average weekly rent for a room: NZ$140, Average hostel night: NZ$30. Nelson Airport – Location: southwest of city centre, Distance from centre: 13min drive/1h20min walk. Average weekly rent for a room: NZ$150. Wakatu – Location: southwest of city centre, Distance from centre: 10min drive/1h20min walk. Average weekly rent for a room: NZ$120. Stoke – Location: southwest of city centre, Distance from centre: 15min drive/1h40min walk. Average weekly rent for a room: NZ$150. Maitai Valley – Location: south of city centre, Distance from centre: 12min drive/1h20min walk. Average weekly rent for a room: NZ$140. There are 15+ backpacker hostels in Nelson, most of which are in Nelson’s city centre. However, you can find the odd backpacker hostel out of town. Arguably, Nelson has a selection of some of the best hostels in New Zealand. Most of them have something unique and fun to offer, so staying in a hostel in Nelson is often described as an experience in itself. Hostel prices in Nelson usually start from NZ$25 per bed per night. We always recommend to book your bed a week or two in advance during the busy summer, especially for the popular hostels recommended in 5 Best Backpacker Hostels in Nelson. We always recommend to book your bed a week or two in advance during summer. You can always keep the cost of living down along with an extended stay by working for accommodation in a Nelson hostel. For tips, have a look at How to Find Work for Accommodation in New Zealand. Renting a room is common practice in Nelson to keep the price to minimum when staying in Nelson long-term, usually done if you have landed a job in Nelson as part of a working holiday. Rent prices in Nelson are pretty reasonable. 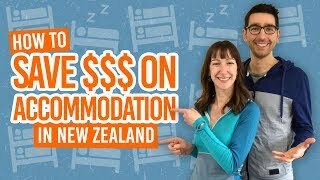 Expect a room to rent in Nelson to be between NZ$100 to NZ$180 per week. That’s a room to yourself in a flatshare or houseshare. 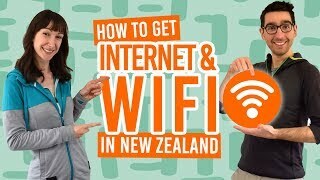 For advice on how to find a room to rent in Nelson, have a look at our 6 Resources to Find a Room to Rent in New Zealand. 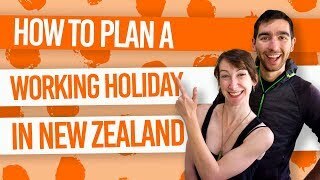 Renting a room involves a more complicated process than staying in short-term accommodation, so get clued up by reading The Paperwork Process of Renting or Flatting in New Zealand. Stay with a local Nelson-dweller! AirBnB, the online network of people’s “spare rooms” available for accommodation, is relatively popular in Nelson. You can find AirBnB rooms mostly in the city centre, Port Nelson, South Nelson and Beachville. However, at an average of NZ$140 per room per night, you’ll struggle to find an AirBnB room in Nelson at a backpacker price. There are limited NZ$31-41 rooms in South Nelson and Beachville. Your first night with Airbnb is on us with this FREE NZ$50 Airbnb credit! Consider using AirBnB for an alternative experience to hostels by spending time with locals, plus, they may just be located in more convenient suburbs for your needs. Nelson is an extremely camper-friendly city. Not only are there a selection of holiday parks accommodating both campervans and tents, but there are plenty of freedom camping options for tents, vehicles and self-contained vehicles. For freedom camping in Nelson, self-contained campervans can park up anywhere on council land except residential areas, parks and reserves. The same applies to non-self-contained vehicles but you must park near a public toilet. Nelson city centre, Port Nelson and Tahunanui have the most freedom camping spaces. For a map of where you can freedom camp and a note of all the public toilets, check out the Nelson City Council website. 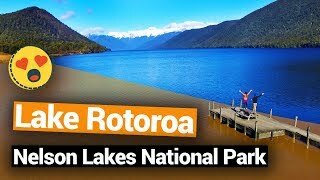 For more information on freedom camping, see Freedom Camping Rules in New Zealand: Region by Region. 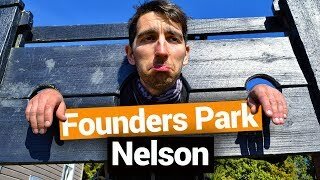 While you’re staying in Nelson, here’s some things you should know about.